East London’s Nasha label produces consistently high quality releases. They describe their latest opus, Technology EP, as “…five more essential spells of subversive sonic sorcery.” Which is pretty accurate, actually. 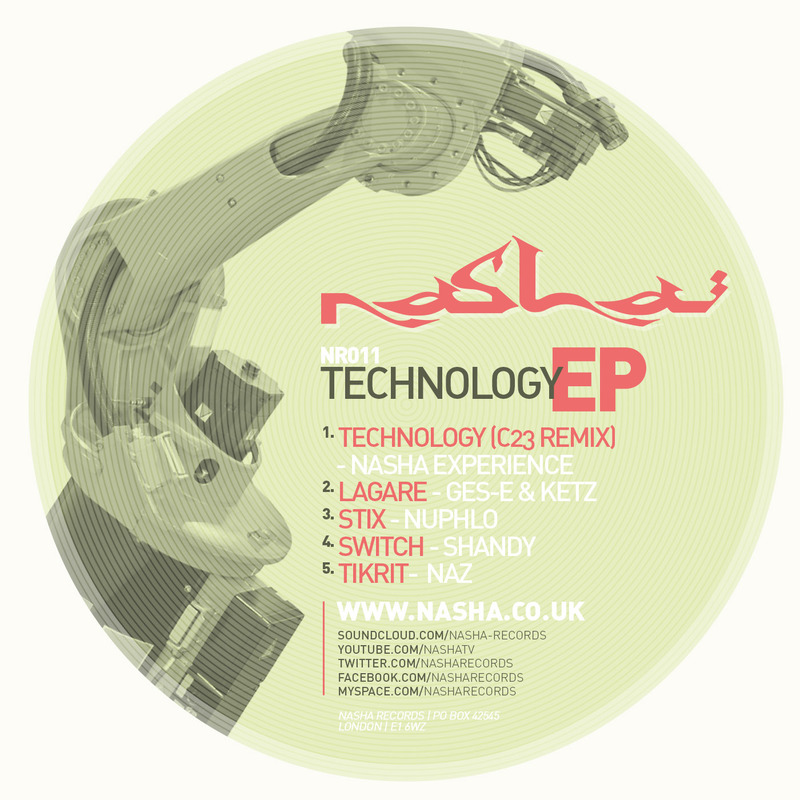 The opener, a remix of Nasha Collective’s Technology by C23, is a spacious, triphoppy workout with a relentless pulsing bass over skittering percussion. Ges-E and Ketz follow with Lagare, an atmospheric tune with hints of trancey house which is simultaneously chilled and bouncy. Nuphlo follows with a tune called Stix. It’s a liquid dubsteppish thing which, once again, manages to have lots of groove and intricate percussion but still remain quite mellow. Switch by Shandy follows with some sparse tabla over some half time dubstep bass. This is my favourite so far. The closing tune is Tikrit by Naz. This starts with a spacious ambient pad and some distant Middle-Eastern inflected melodic snippets before the drums kick in and bring us back into the space created by the preceding tracks. Maybe this is my favourite – I’ll have to play the EP a few more times to decide! This is a finely crafted collection of tracks that, despite coming from different artists, make a very satisfying continuous listening experience.